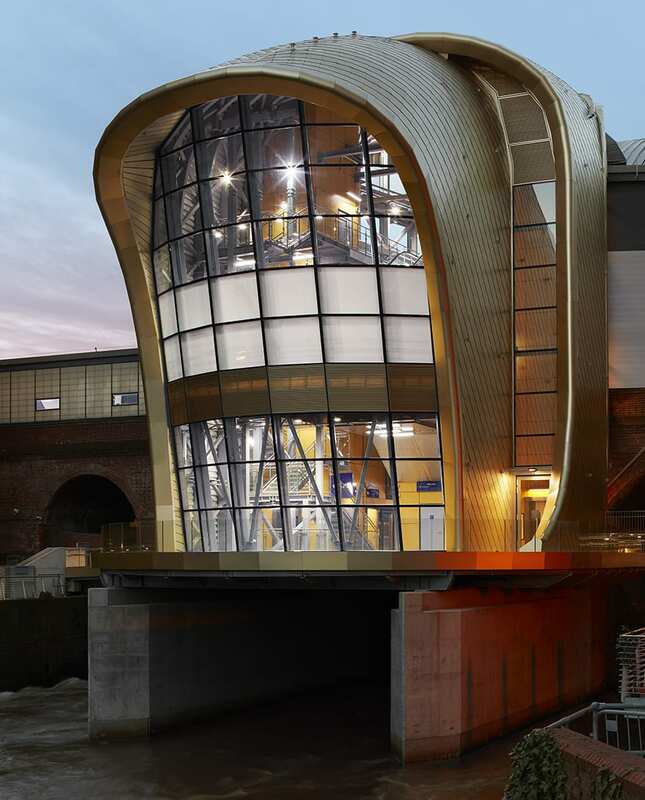 To open up Leeds station to the recently redeveloped areas to the south of city centre, and relieve passenger congestion at the existing ticket barrier, an additional southern entrance to the station was needed. Due to limited space, and the need to access the existing high-level concourse, it was determined that this new entrance would be built above the River Aire. Due to the complex nature of the project the client requested that it be delivered using BIM, something that Matt Beaumont, the project architect from the station’s designer AHR, says was definitely a wise decision. Due to the complex relationship with the existing building, AHR’s in-house consultants began the project by carrying out a point cloud survey. 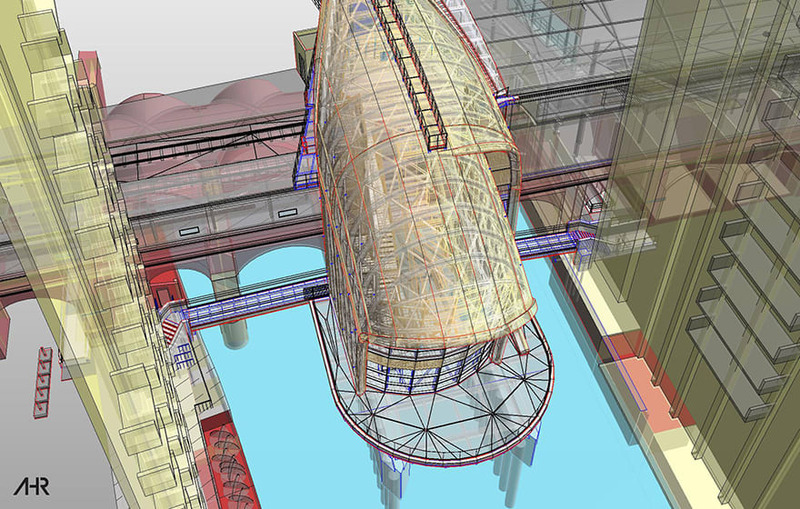 From this survey a highly accurate BIM model of the scheme was built, which the team had full confidence in. 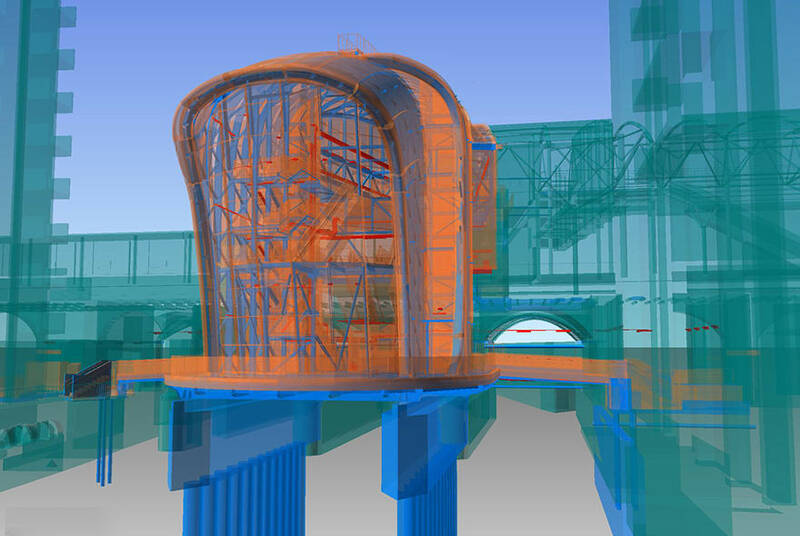 “The use of scan-to-BIM to create an accurate site model from a cloud point survey allowed the designers a level of confidence that when they designed the building they knew that it would fit,” says Beaumont. AHR carried out surface curvature analysis of the building’s geometrically complex design to identify the most efficient shape of the external skin. Along with the rest of the design team, they were then able to rationalise the structure and design a profile that could be repeated, reducing the fabrication time and cost. All this was tested using state-of-the-art parametric modelling. The model was also utilised in design team meetings, where tricky interfaces could be viewed and discussed during the design stage rather than being left to workers on site. According to Beaumont, this allowed the team to anticipate problems before they were discovered on site, and develop a more efficient, and ultimately cheaper, building. 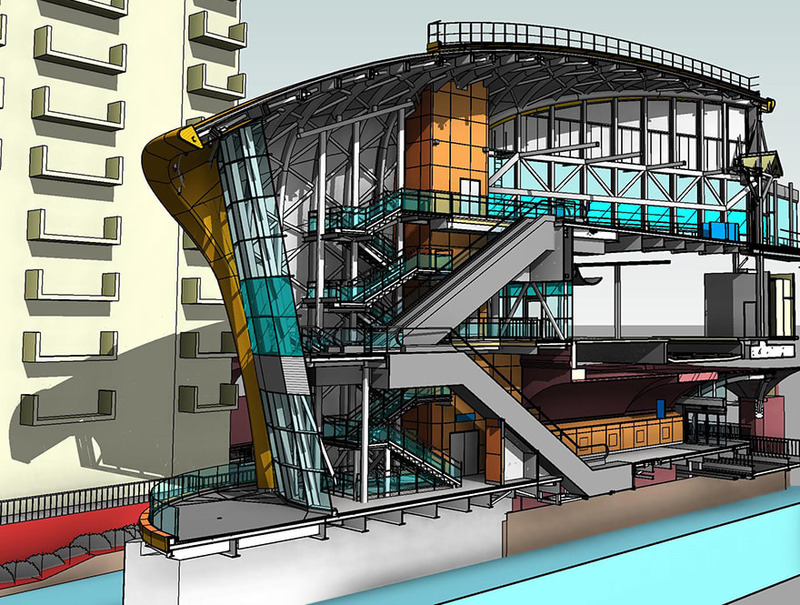 Although BIM was requested by the client, and used by the majority of the team (with the notable exception of the lift and escalator specialist subcontractors, which only provided information in 2D DWG format) this was not a Level 2 project. A BIM model was handed over to the client at the completion of the project, but it is not intended that it be used for for asset management. Beaumont explains: “At the beginning of the design process, when the design team drafted the BIM Execution Plan (BEP) we consulted with the end users – Network Rail route asset managers. They did not have the knowledge or understanding of BIM Level 2.